This limited edition Spyderco Para Military 2 folding knife is part of their unique Sprint Runs line and features a one-of-a-kind combination of CPM CRU-WEAR steel for the blade and a G10 handle. 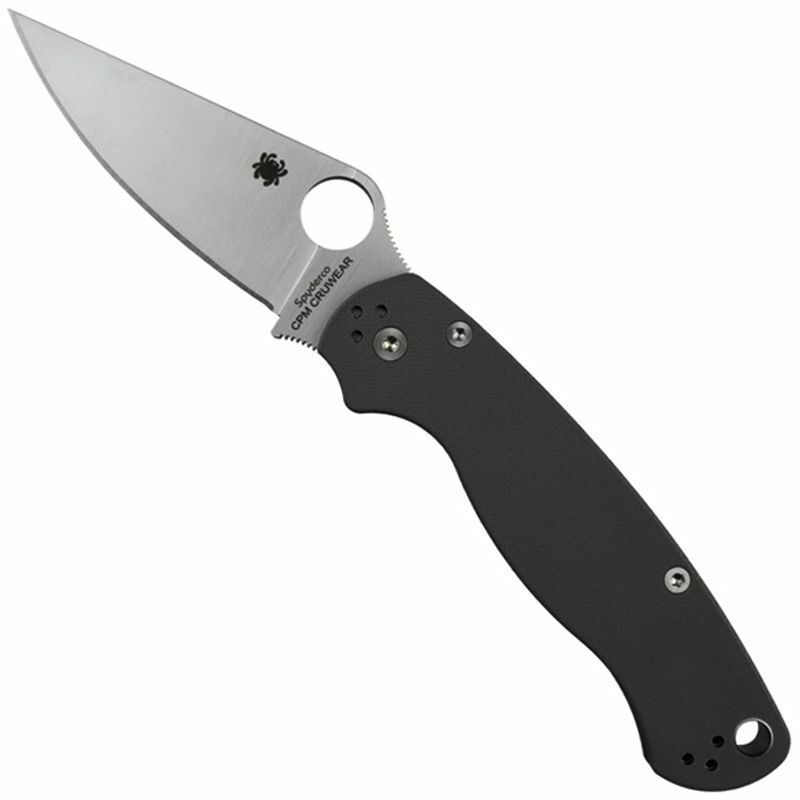 The slim clip point blade allows for scalpel-like piercing and precision, while Spyderco's trademark Round Hole and Compression Lock allow for smooth one-handed opening and closing. 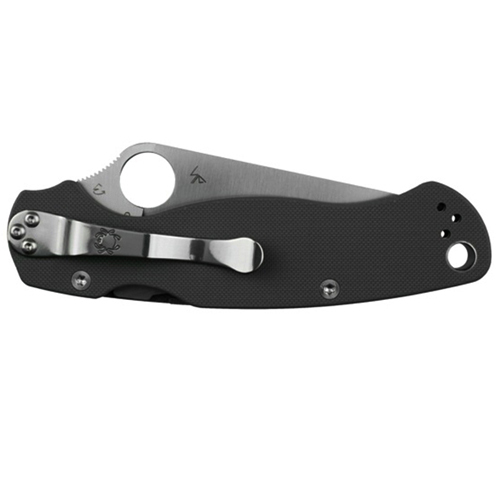 With a four-position clip and lined lanyard hole, you can fully customize your carry and keep this unique blade always at the ready.